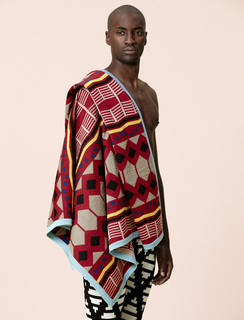 See more objects with the tag stripes, royalty, men's clothing, identity, status, hats, nationalism, tassels, headcovering, men's fashion accessories, ceremony, hair, hat, independence, spiky, African. See more objects with the color darkslategrey maroon darkslategrey darkolivegreen dimgrey or see all the colors for this object. This is a Man's hat (ashetu). It is dated mid- to late 20th century and we acquired it in 2003. Its medium is cotton, wood and its technique is crocheted. It is a part of the Textiles department. Traditional African hats are highly expressive of the diversity of the continent. Hats can serve a religious or ceremonial function or indicate the occupation or hierarchy of the wearer in civic or social societies. It can also indicate the marital status of the man or woman. In Cameroon, hats are one of the oldest and most important parts of the national dress. There are several types of hats worn in the Cameroon Grasslands, and this particular type is an ashetu, or a prestige hat. This sort of hat is generally reserved for elite males as well as a very limited number of elite women. 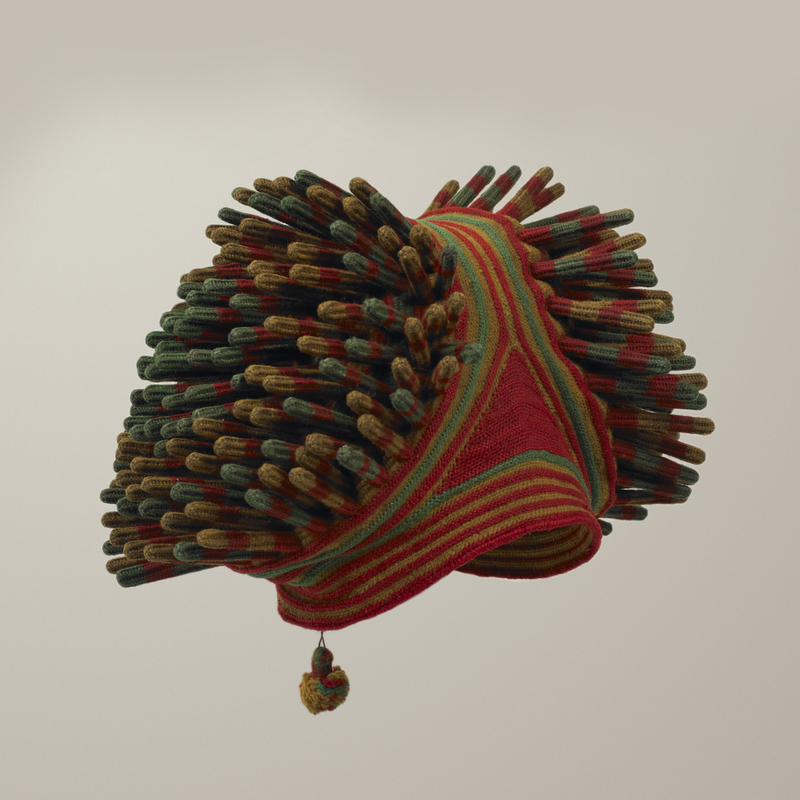 Fitting snuggly on the head, the hat supports the striped projections or burls that are on both sides. 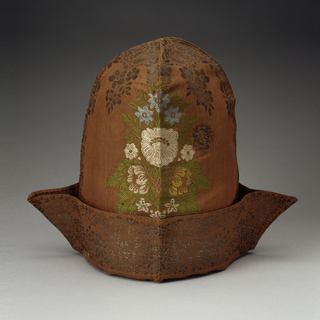 The whole crown of the hat may be covered with burls or, as in this example, it may be divided on the left and right sides by vertical lines of color. The burls reflect the tufted hairstyle worn by high-ranking men in Cameroon culture. The museum has a small collection of African hats primarily made out of raffia with a basket-weave technique. This Cameroon hat, however, represents a very different technique: crocheted wool with wood-reinforced burls. 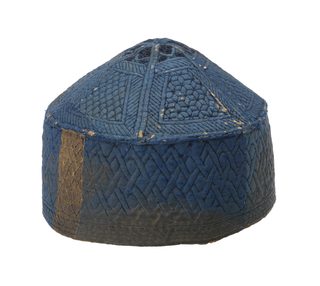 Not only is it stylistically different, but it is also geographically distinctive from other, similar hats in the collection, most of which originate from Zaire (known today as the Democratic Republic of the Congo). 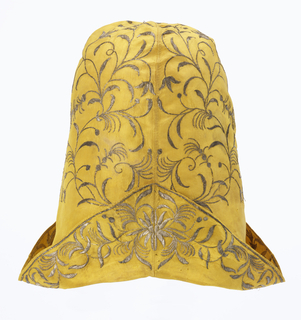 This proposed acquisition also adds to the museum’s larger collection of men’s and women’s hats spanning several centuries and continents that most often relates to the technique of embroidery. 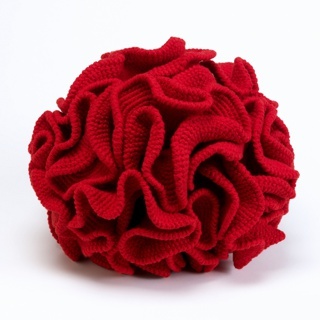 This object was featured in our Object of the Day series in a post titled Hat Hair. 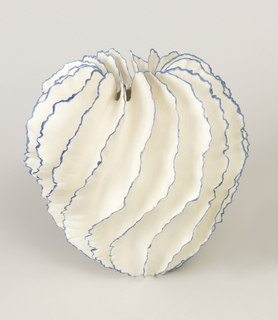 This object was purchased from Gail Martin Gallery. It is credited Museum purchase through gift of Mrs. William Goulding.